For twenty years, Jerry Rogers has been turning policy into practice. He is the founder of Capitol Allies and the Six Degrees Project, an independent, nonpartisan effort that promotes entrepreneurship, economic growth, and free enterprise. Jerry also has the privilege of serving as vice president at the Institute for Liberty (IFL). 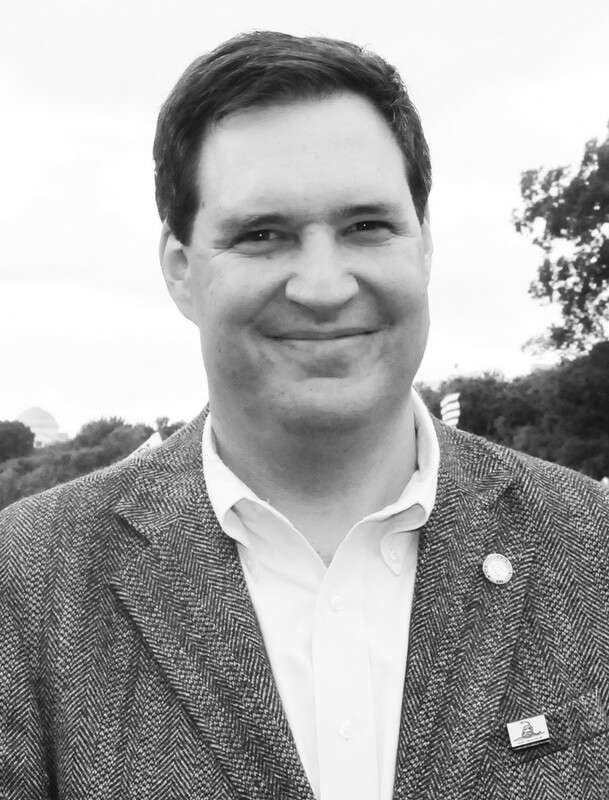 Jerry founded Capitol Allies to further the principled interests of the free-market community, to leverage and amplify the voices of those advancing ideas, to raise the resources necessary to advance an issue or idea, and to create opportunities for strategic partnerships and allied relationships with the intellectual voices that matter most. The “six degrees of separation” notion is that certain people and their networks are essential to advancing an idea and tipping a debate. Jerry’s work at Capitol Allies employs the art of “six degrees” to create opportunities for free-market allies and partners—think tanks, advocacy organizations, researchers, experts, and best advocates—to be heard by the right ears. Prior to establishing Capitol Allies, Jerry was a deputy vice president at the Pharmaceutical Research and Manufacturers of America (PhRMA). He led PhRMA’s federal alliance team, working with industry leaders, the scientific and research community, patient advocates, physicians, think tanks, and policy experts, to advance common interests on policy, regulatory rules, and legislation. Jerry’s writings have appeared in myriad news and opinion sites, including National Review Online, RealClearEnergy, RealClearPolicy, RealClearMarkets, the Daily Caller, TheBlaze, the Washington Examiner, The Hill, Townhall, PJMedia, and Free Enterprise.com. His work has been cited by Fox News Business, Breitbart, NJ Today, One America News, among others. Jerry is a frequent guest on talk radio and cable television, and has been a guest expert for numerous panel discussions hosted by think tanks, trade groups, and state legislatures. He is the co-host of The LangerCast on the RELM Network, and is the host of the ‘Jerry Rogers Show’ on WBAL News Radio 1090 AM / 101.5 FM. Jerry was born in the Bronx, NY and grew up in Fair Lawn, New Jersey; attended Bergen Catholic High School; and, after graduating from Fordham University, taught history and theology at Iona Preparatory School. Today, Jerry lives in the Washington, DC metro area with his wife, Erica, and their five children. Since 2008, Andrew Langer has been President of the Institute for Liberty. IFL works on a variety of issues—promoting and protecting small business, linking trade and prosperity, tilting against the regulatory state. But at the organization’s core, and Andrew’s, is the desire to promote freedom and individual rights. Andrew has been involved in free-market and limited-government causes for nearly 20 years, has testified before Congress nearly two dozen times, and has spoken to audiences across the United States. A nationally-recognized expert on the impact of regulation on business, Andrew is regularly called on to offer innovative solutions to the problem of burdensome regulatory state. Prior to coming to IFL, he was the principal regulatory affairs lobbyist for the National Federation of Independent Business, the nation’s largest small business association. He is also a nationally-recognized expert on the Constitution, especially issues surrounding private property rights, free speech, abuse of power, and the concentration of power in the federal executive branch. In addition to being IFL’s President, he hosts a weekly internet broadcast, the LangerCast (heard on the RELM Network), and frequently guests hosts on Baltimore’s largest talk station, WBAL, as well as Cam & Company, on NRA-TV and SiriusXM’s Patriot Channel. In 2011, he was named one of Maryland’s “Influencers” by Campaigns and Elections magazine. He has a Master’s Degree in Public Administration from Troy University and a BA in International Relations from the College of William & Mary.